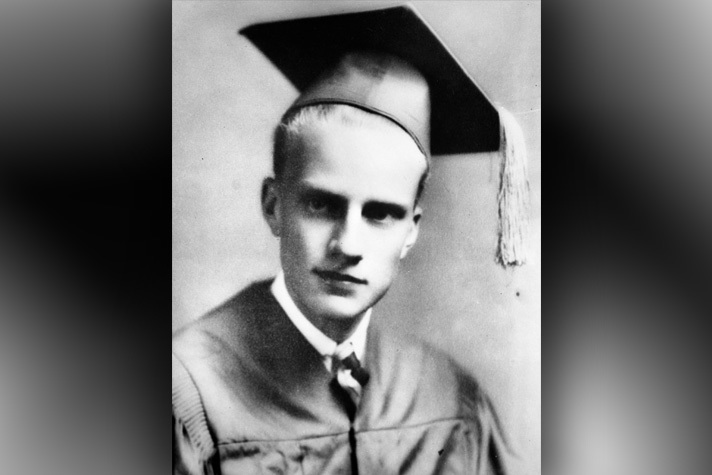 Billy Graham Trivia: Which Class Did He Fail in 10th Grade? Billy Graham's yearbook photo, 1936. 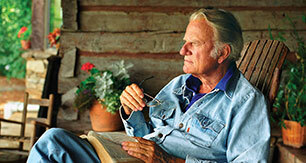 Q: Which class did Billy Graham fail in 10th grade? In his autobiography, Just As I Am, Billy Graham wrote about struggling with fatigue during school. The son of a dairy farmer, Billy woke up at 2:30 a.m. every morning and spent two hours milking 20 cows. Then he would shovel manure and straighten up the barn—all before breakfast and school. He got mostly A’s in elementary school, but he was a “C” student by high school. After failing French in 10th grade, he had to spend two hours a day with a tutor the following summer. His teachers probably wouldn’t have predicted that the farm boy who struggled with French would go on to preach the Gospel to thousands of people in France on multiple occasions. His first trip to France took place in 1946, when Europe was just beginning the long process of recovering from World War II. He returned to the country several more times throughout his life. In September 1986, more than 100,000 people heard the Gospel during Mission France in Paris, and Mr. Graham met with French President François Mitterrand. If you enjoyed this trivia, check out more Billy Graham trivia questions.